South African culture is complex and particularly difficult to summarise as many different ethnicities and races have cohabited for centuries now, yet they remain seemingly unintegrated. This is the result of the Western colonisation of Africa and its social consequences (such as the Apartheid system) that imposed clear demarcations of inequality throughout society. For years, the white Afrikaner and English minorities have reigned superior over the black, ‘coloured’, and Asian populations. Today, the nation is endeavouring to overcome these divides; recognition of legal equality and fair distribution of resources is pushed to encourage unification. However, resentment and underlying post-colonial attitudes have been hard to shake. As South African society is deeply stratified, it is hard to describe cultural concepts from a national perspective. Instead, values and behaviours of the population differ strongly among the cultural groups to which people belong. To understand them, one must first look at these populations individually. It should be noted that some South Africans take offence at referring to people by their race or ethnicity (particularly the term ‘black’) and prefer to label everyone as simply ‘South African’ or by their tribal affiliation. This is acknowledged, but for the purpose of this summary, it is necessary to make clear distinctions between races as they represent microcultural groups worth analysing separately. Black South Africans are generally warm, patient, tolerant, creative and charismatic people. They also incredibly culturally diverse, consisting of populations from multiple tribal groups (for example, the Zulu, Xhosa, Sotho, Tswana, Tsonga, Swazi and Venda tribes). Members tend to see other tribes as very different to themselves and feel unaffiliated with them despite being of the same race. Each tribe has traditional belief systems, languages and cultural practices unique to them that trace back in history. Tribes tend to provide most black South Africans with their truest form of self-identity. For example, people might acknowledge that they are South African, but recognise themselves as primarily Zulu. Despite being the majority, there is a significant disparity between the wealth and opportunity available to the average black South African compared to other groups. However, the new post-Apartheid civil landscape of South Africa has seen the black population urbanise and educate faster than others. The number of black South Africans in the middle class and occupying high positions in society and government is increasing exponentially. 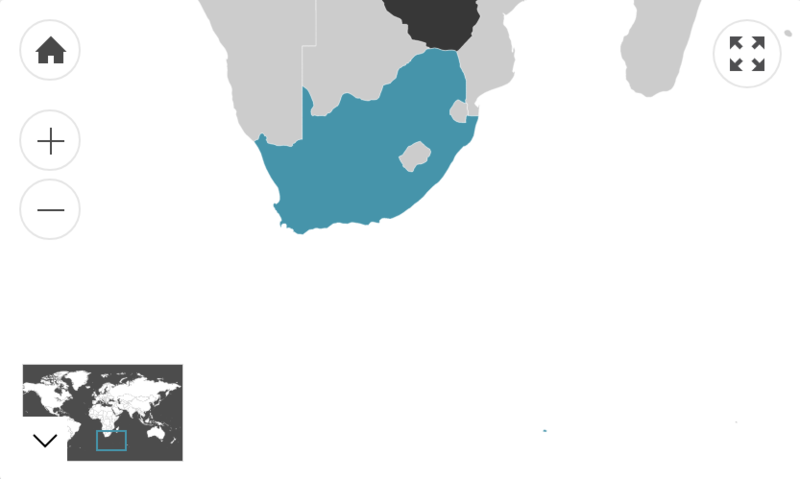 The white population of South Africa mainly includes two ethnic groups: the Afrikaners and the English-speakers. The Afrikaners are descendants of Dutch, French and German settlers who speak a Germanic language, Afrikaans. Their mannerisms resemble Dutch/German communication styles, which are quite direct. Communication is functionally-purposed, with people speaking honestly and clearly to arrive straight to the point. The English-speakers come from British ancestry and have a more reserved approach, reflecting British communication styles. For example, they generally use conditional phrases to make their point in a more indirect way. However, English-speaking South Africans tend to be more outspoken and abrupt in their speech than other British colonial groups (e.g. Canadians or Australians) as an influence of South African culture. The Asian population is primarily made up of the descendants of Indians who were transported to South Africa as indentured workers in the early days of colonisation. The population also includes descendants of Chinese and Malay immigrants from later centuries. Though South African influences are visible in this population’s behaviour and beliefs, distinctive Asian values such as filial piety (respect for elders) are still displayed. Furthermore, they have strongly maintained their original religious affiliations. Though they are a minority, the Asian population has achieved a high level of prosperity in modern-day South Africa. Their rise to the upper class and success in business have distinguished them as being a very industrious and responsible segment of South African society. Furthermore, as Asians were historically enslaved in South Africa, they often consider themselves to be exempt from blame for the many issues in South African society and take pride in their hard-won achievements. Asian South Africans often value materialism, visibly displaying their wealth in possessions such as luxury cars. The mixed-race population consists of people from a variety of different heritages. Their lineage is often a combination of European, Afrikaans, Asian and native African ancestries. They usually speak Afrikaans or English. As they identify as neither white nor black, this more indistinct microculture is often neglected and left out of assistance strategies that aim to target the larger majority of the poverty-stricken population (black South Africans). This has resulted in their further marginalisation. As a result of previous racial law that required the classification of ethnicities, most South Africans identify themselves as fitting into one of the ‘categories’ above and are particularly conscious of the ancestral and characteristic differences between them. There is also a shrewd understanding of each population’s role in the progress (and/or regression) of South Africa. This acute awareness of their turbulent past and the present social climate has instilled South Africans with heightened multicultural sensitivity. However, this awareness is also informed by memories of oppression and lingering resentment. South African history has been saturated in racism. Yet, as the country develops, bigotry is slowly diminishing and losing political traction. With unemployment and poverty rampant in some communities, economic position is now the dominant cause of segregation. Unfortunately, wealth and opportunities have been distributed very unequally among ethnic populations due to the prejudices that prevailed during settler colonisation. As such, societal stratification still largely correlates with race. For example, the Pew Research Centre estimates that the average income of a white household is six times more than that of a black household. Clearly, there are large ethnic, economic and contextual differences among South Africans, yet there are characteristics that are fairly common throughout the country. South Africans are not so divided that they don’t share cultural conceptions of time, space and etiquette. Broader African culture has influenced most South Africans to be quite distinct in their communication style and approach. People of all ethnicities often strike Australians as markedly assertive in their speech, and perhaps quite charismatic. For example, Afrikaans people commonly have a noticeably unreserved demeanour in comparison to their Dutch and German heritage. South Africans also share an adventurous, entrepreneurial streak that frequently sees them be opportunistic and open to taking risks. One gets the sense that it is important to them that they make something of themselves and their time. Accordingly, hard work and cooperation are highly valued. They are often quite driven people, realistic and pragmatic in their rationalisations. The country’s social turbulence fuels an ambition to be economically independent, self-sustainable and competent in order to escape the crippling condition of unemployment. However, this motivation is now coupled with an emerging and cautious optimism that such an aspiration is achievable in the post-Apartheid era.